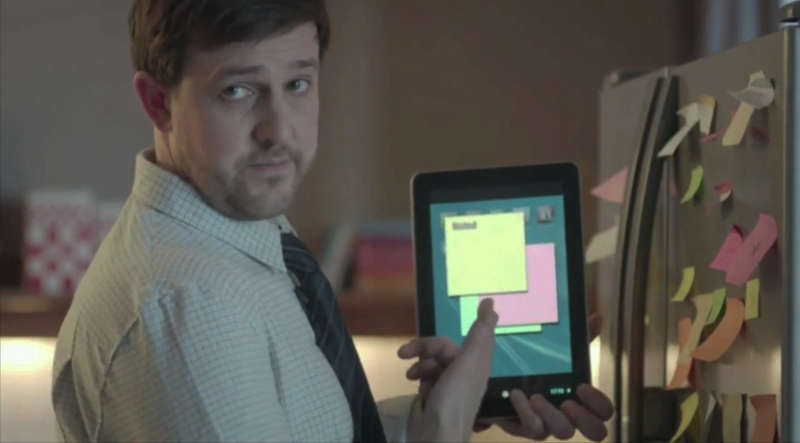 Le Trèfle, the French toilet paper company, went viral in 2013 with “Emma”, a television commercial championing the power of paper over digital technology. An iPad fanatic just cannot understand why his wife Emma insists on using paper when a tablet would do the job more effectively. Finally the penny drops. The Emma campaign was developed at Leo Burnett France, Paris, by executive creative director Xavier Beauregard, art director Jérôme Gonfond, copywriter Hadi Hassan-Helou and agency producer Elisabeth Boitte, digital project officer Anne-Laure Faugas and executive producer Régis Perrone, working with Le Trèfle marketing team Matteo Antonielli and Christophe Brosius. Filming was shot by director Bart Timmer via Henry de Czar with executive producer Jean-Luc Bergeron. Sound was produced at THE, Paris.